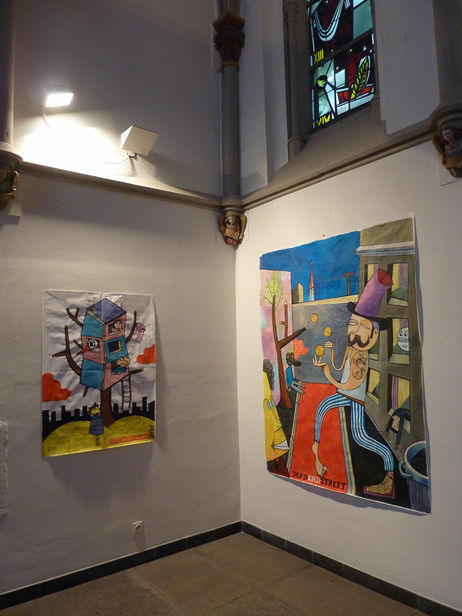 The former resident of Berlin and artist Jim Avignon was a guest at the Herz-Jesu Cultural Church in Cologne during the Cityleak Festival. Jim Avignon is known for selling his pictures that he produces at high-speed and in high numbers for rather small prices – or even for free. His art has already been called Cheap Art because of that circumstance in the past. Avigon has lived in New York since 2006. Before his career as an artist, Jim worked as programmer, geriatric nurse and bus driver, according to his own statement and Wikipedia. Whoever attended the Cologne exhibition might have noticed something peculiar – Jim Avignon has found his style. While earlier works had been one-dimensional, his newer works are quite lively. 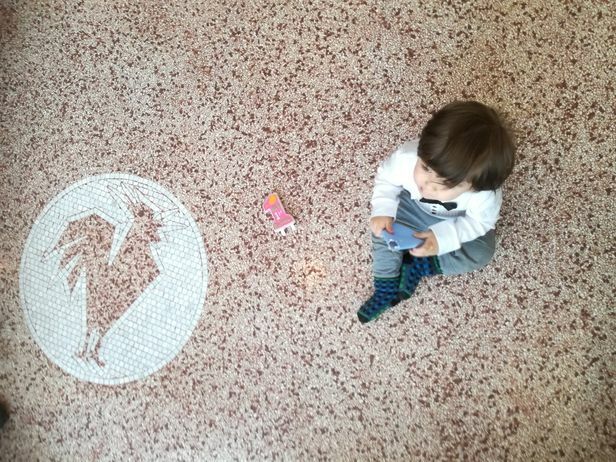 If that's cheap art, what more persuasion do you need to grab it? Well, let’s hope you were one of the lucky ones to grab it, since the exhibition is now completely sold out, and rightly so. The exhibition will run until Sunday, 25 September and is open from 3pm to 6pm. For all those among you, who won't manage to make a trip to Cologne, here is a photo-documentary of the amazing exhibition, organised by Benedict.